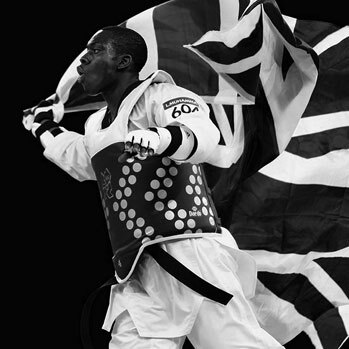 The Great Britain Taekwondo Team today returned from Beijing after having competed in the 2007 WTF World Taekwondo Championships in the Chinese capital. The five day event, which finished yesterday, provided the young team with vital experience as they look forward to the Olympic Qualification Event in Manchester later this year. While the Team, which has an average age of just nineteen, missed out on picking up any medals, it did put in some memorable performances including sixteen year-old Aaron Cooke (Scorpion Taekwondo Club, Doncaster) who narrowly lost out to Iran’s two-time world and current Olympic Champion Hadi Saei. Praise must also go to fifteen year-old Farren Cummins (Aces Taekwondo Club, Manchester) who was making her senior Great Britain debut in China. Cummins faced a top Greek player and put up a tremendous fight only to lose on sudden death, which is a hugely impressive achievement for someone so young. Davoud Etiminani (Fusion Taekwondo Club, London), competing within the -67Kg weight category, also performed exceptionally well by reaching the quarter-finals in a field of seventy-eight athletes and only lost out to one of the top seeds on a referee’s decision. The Great Britain Team was hindered by 2005 World Championship silver medallist Sarah Stevenson (All Stars Taekwondo Club, Doncaster) fracturing her hand during competition but she is not considered to be a doubt for Olympic Qualification in Manchester in September. Five of the World Championship Team will still be eligible to fight at the European Junior Championships in October but the team will now focus attentions on qualifying for the Olympics next year in Beijing.